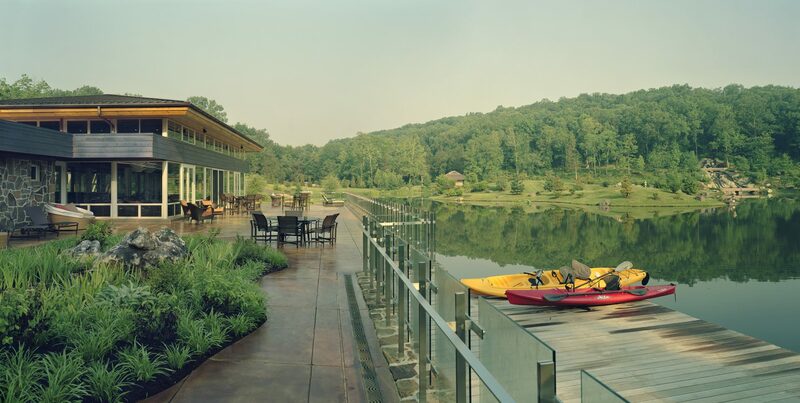 In central Missouri amid the farmland and forests they love, the Sinquefields built a family retreat overlooking the scenic Osage River. 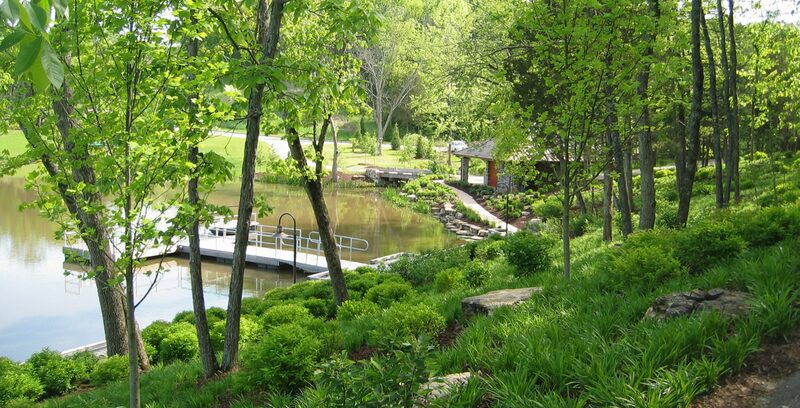 Sinquefield Lake is one part of a larger property that Pashek + MTR Principal Missy Marshall designed to be a private arboretum. 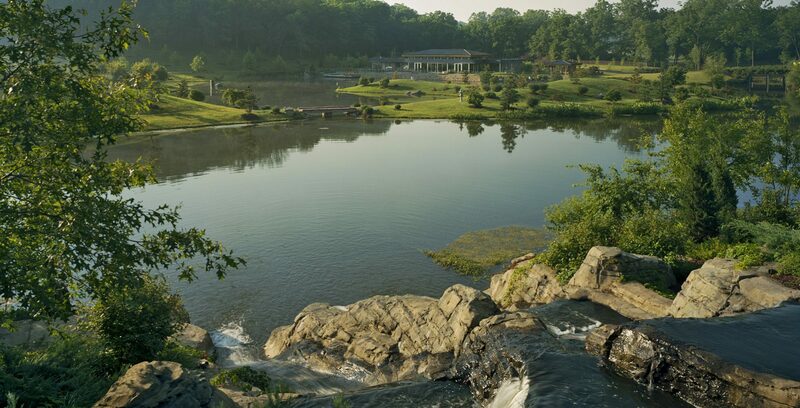 The lake was envisioned as a place for recreation, renewal, relaxation, and entertaining. The Lake House is the centerpiece of the lake landscape and functions as a guest house and place for gatherings. 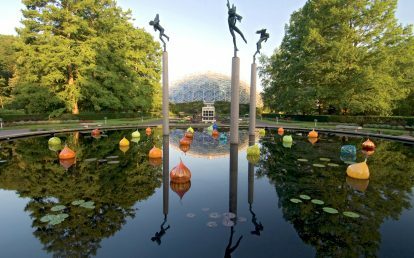 The south end of the lake is designed in Japanese Garden style, while the north end was planted with native species for bird habitat. 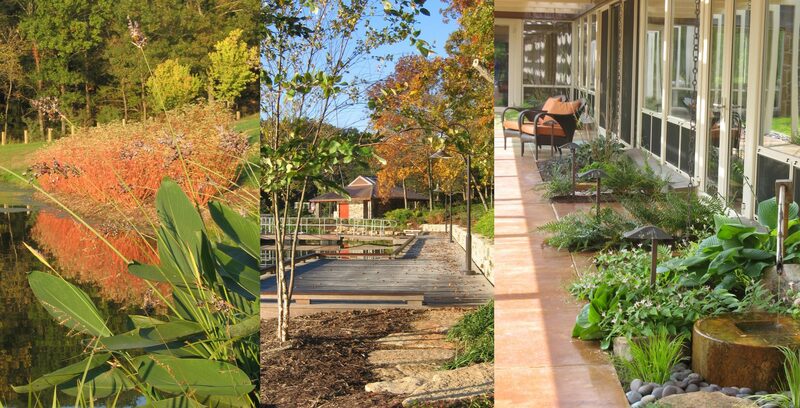 Visitors to the Lake House can explore the dry stream garden. 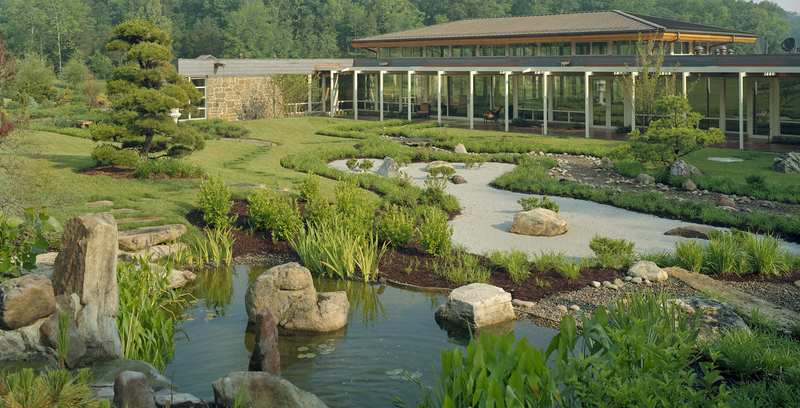 The raked gravel of a traditional dry garden symbolizes water, with boulders as craggy islands in miniature. 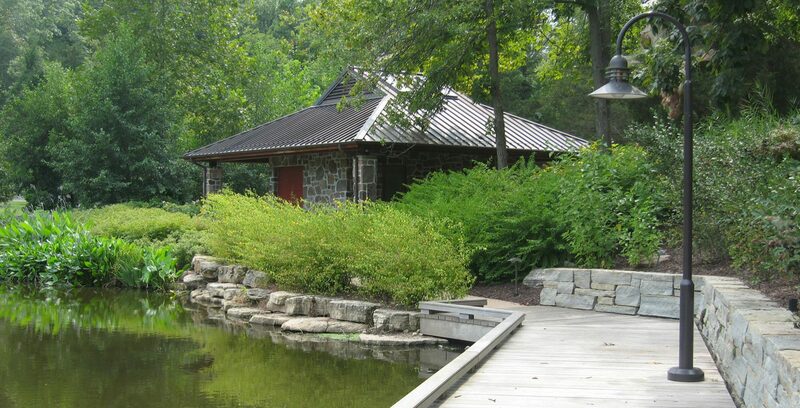 The gravel stream and lake repeat the form of the adjacent lake and koi pond in a contrasting texture. 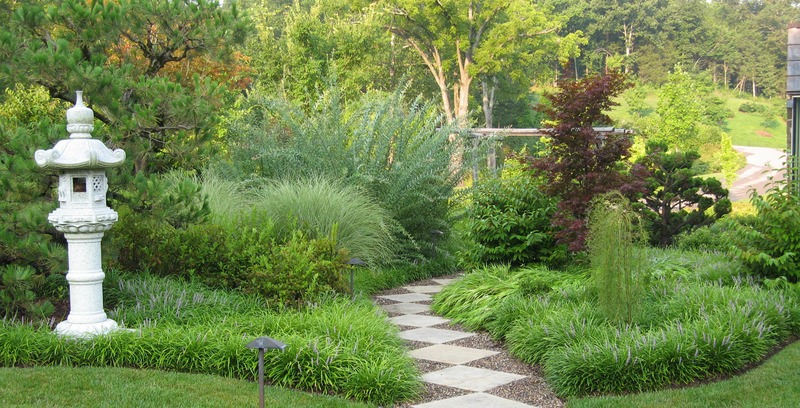 The planting design emphasizes foliage color, texture, and movement. 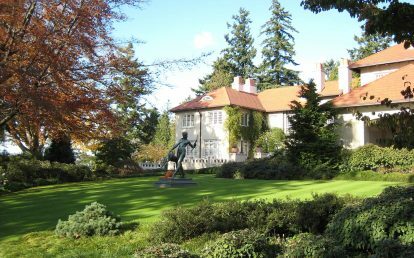 Specimen “cloud-pruned” pines were selected at an Oregon nursery. Monumental boulders were carefully placed in key locations throughout the garden. 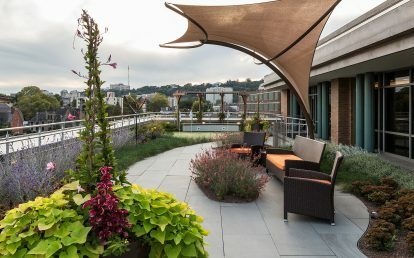 A strolling garden connects the lakeside terrace to the dry stream garden. 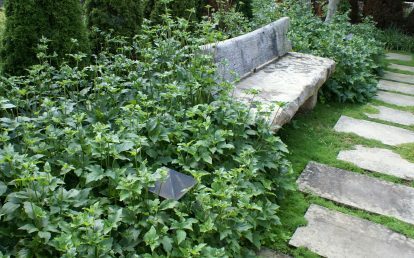 The natural stone paths are artistically arranged in various patterns, from stepping stones that encourage you to slow down and pay attention to the details of the journey, to nobedan pathways, which are like intricate patterned carpets of natural stones. As the lead designer, we worked closely with the Owner and coordinated a diverse team of professionals, including engineers, architects, local contractors, and the Owner’s staff. The result is a truly outstanding private retreat. 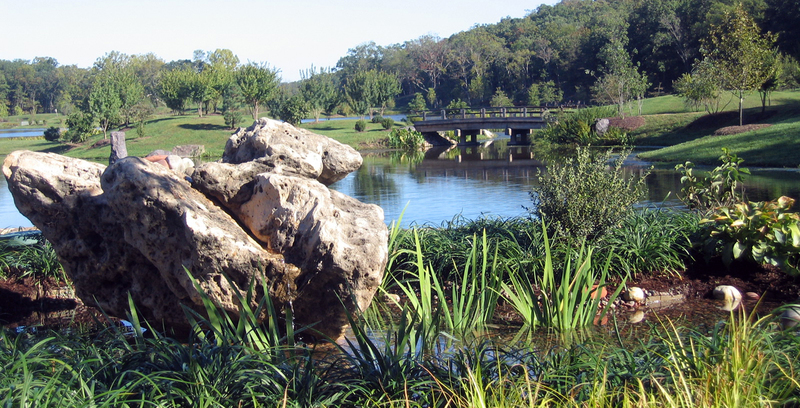 Lake, Japanese Garden, dry garden, koi pond, strolling garden, dock, bridges, bird habitat garden, arboretum, roads, trails, terraces, site furnishings. PA/DE Chapter ASLA, Honor Award, Residential Design, 2009.